March 2016 – upcoming gigs – Phil Robson Organ Trio UK tour; Phil Robson and Christine Tobin projects debut in New York; London jazz judders with West Hill Blast Quartet, Apocalypse Jazz Unit, Øyeblikk and a Tom Ward/Adam Fairhall/Olie Brice/Andrew Lisle quartet. 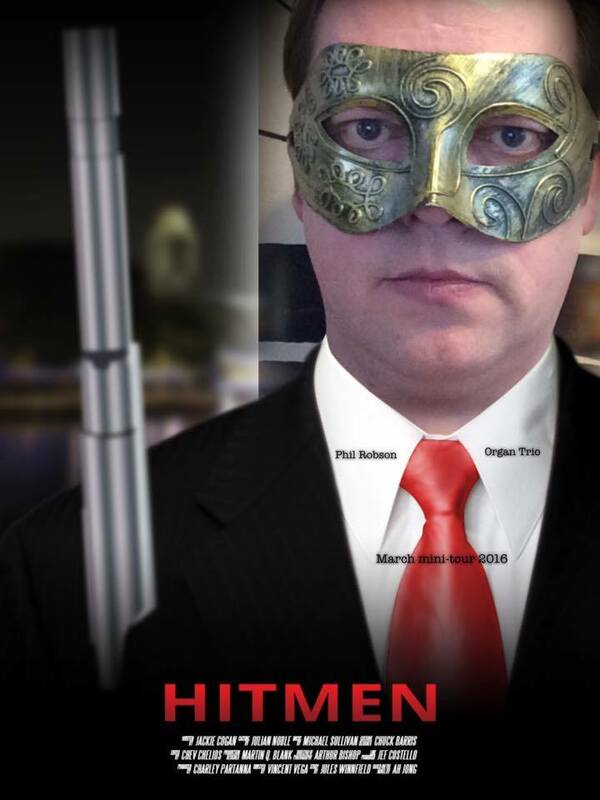 Phil is back in New York at the end of the month, where he’ll be unveiling a new project. Taking their name from one of Phil’s Partisans tune, Icicle Architects feature veteran New York drummer Adam Nussbaum (who’s played with Gil Evans, Carla Bley, Johns Schofield and Abercrombie, Michael Brecker and too many others to list), ‘Saturday Night Live’ bass player James Genus and saxophonist Donny McCaslin (bandleader, Steps Ahead/Dave Douglas alumnus and most recently an art-rock darling due to his band’s prominent contributions to David Bowie’s jazz-steeped swansong ‘Blackstar’). 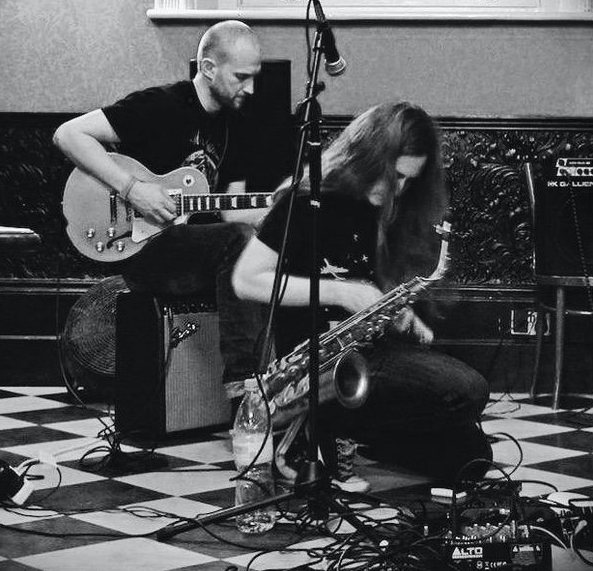 There’s not much information on what they’re intending to do, so for now you’ll just have to imagine Phil’s tunes fed through a New York sensibility and multiple generations of exploring the noise: post bop, free jazz, fusion and avant-garde. 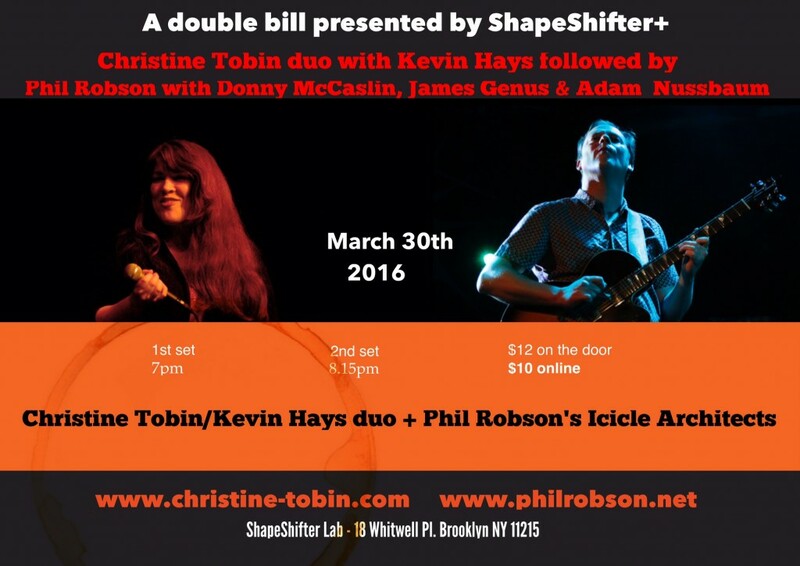 Christine Tobin will be playing the same gig as a voice-and-piano duo with pianist Kevin Hays (of the Sangha Quartet, Bill Stewart Trio, John Scofield Quiet Band and plenty more). Again, there’s not much information on this but Christine can always be relied upon to draw multiple ideas and traditions into her world of song, working her low-key but flexible voice across originals, improvisations or interpretations (mingling tones and echoes of Leonard Cohen, Betty Carter, Joni Mitchell and Cassandra Wilson, plus influences from her native Ireland such as the Yeats poems which underpinned her 2012 album ‘Sailing To Byzantium’). “For our next gig at the Vortex we are excited to present two new collaborations! 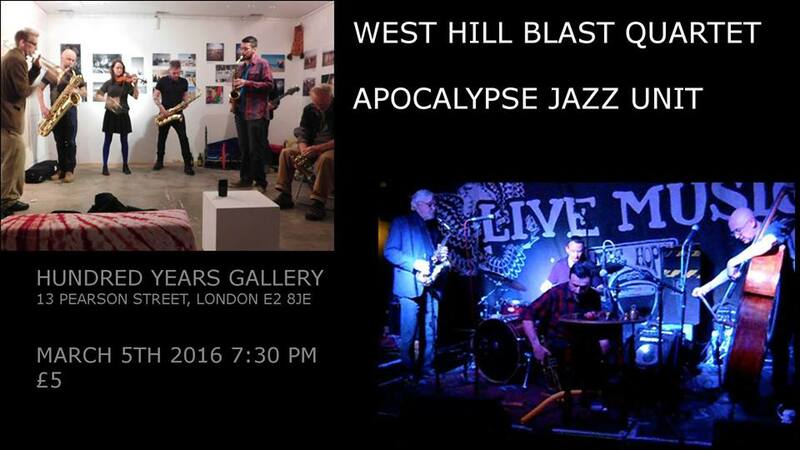 Come and hear some fresh new orginal and improvised music! 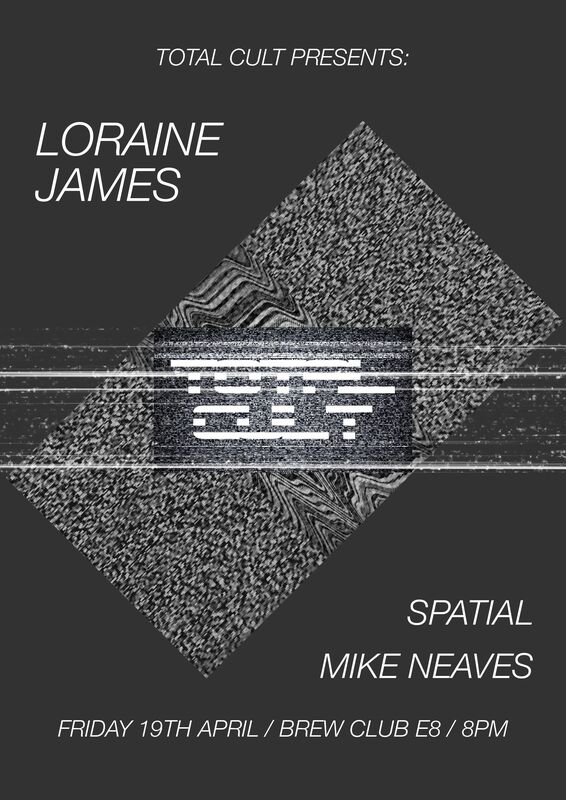 This night features the debut performance of a new group featuring four highly creative improvisers who have appeared at LUME in other projects, but have never played all together. 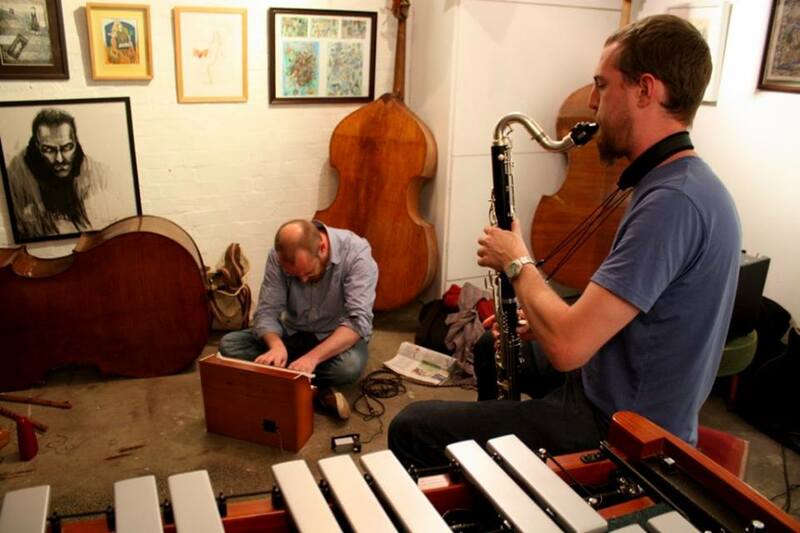 Tom Ward (alto sax, bass clarinet, flute) and Adam Fairhall (piano) had their names drawn out of the hat at our randomised free improvisation night last Summer, and following this initial encounter (a toy piano and bass clarinet duo) they decided to get a band together with double bass player Olie Brice and drummer Andrew Lisle. The quartet will play new music by the bandmembers, starting from a few common reference points. The band will employ a flexible approach to harmony and form, including investigating negative harmony and stretching out with extended improvisations. Influences include the Greg Osby ‘Banned In New York’ album with Jason Moran, the ‘Monk’s Casino’ album with Alexander von Schlippenbach and Rudi Mahall, and Fieldwork with Steve Lehman, Vijay Iyer and Tyshawn Sorey.